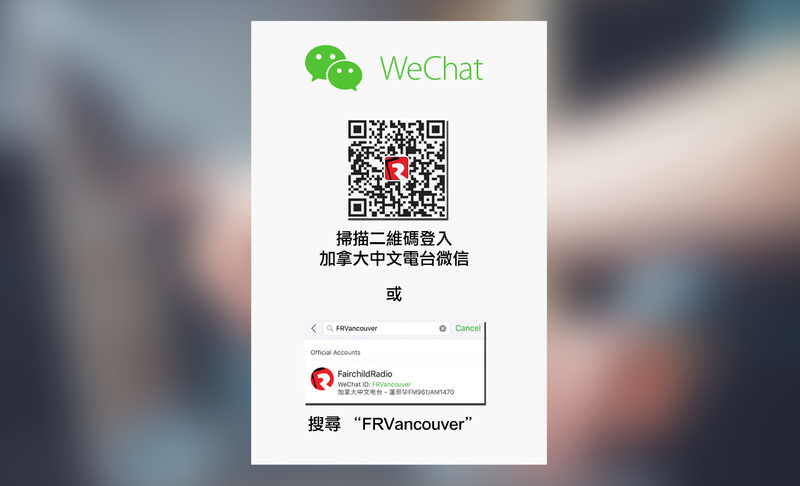 Fairchild Radio, a multicultural radio station chain, turn off their lights and non-essential electrical appliances in their Vancouver, Calgary and Toronto branches between 1pm to 2pm local time today (Friday, March 18). This is to promote Earth Hour 2016, which will take place on Saturday, March 19 between 8:30pm and 9:30pm. The annual Earth Hour celebration is the biggest lights-off event in the world, aiming to raise awareness about global warming. 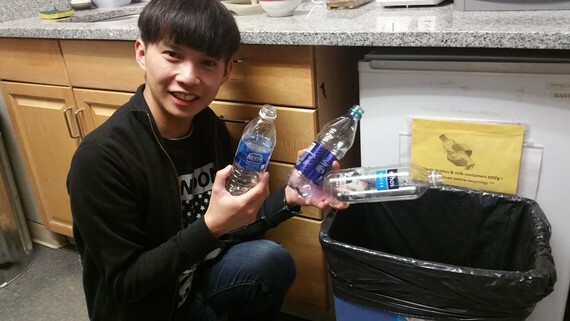 Robin Lo from CHKF-FM947 in Calgary shares tips on recycling. To get an early start on the lights-off campaign, Fairchild Radio will create a bigger promotion on environmental issues. On top of airing radio segments on recycling, power saving and alternative energy, each city is working on its own interactive projects. The Vancouver branch will take its audience on a guided tour of the municipal recycling depot while the Calgary branch has initiated a social media campaign to share tips on green living. 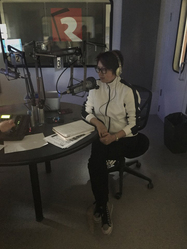 Jenny Hong from CHKT-AM1430 in Toronto broadcast live from a lights-off studio. Thanks to the skylight nearby, it was a little dark but manageable. 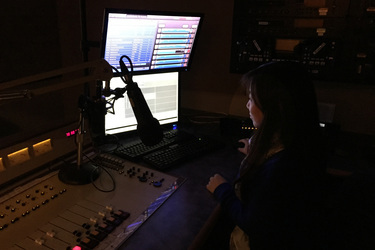 Jieying Chen from CHKG-FM961 in Vancouver continued to do editing for her afternoon program. There is no window nearby so it was quite dark. Fairchild Radio is a keen supporter of environmental issues over the years and has taken drastic measures to cut down on the use of paper, electricity and water in the work place. The current Earth Hour campaign will phrase into the Earth Month campaign which will last through the month of April. 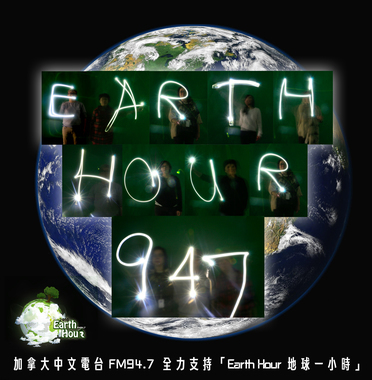 Staff at CHKF-FM947 Calgary also created a montage graphic for Earth Hour using the light painting effect. A dozen DJs moved a hand-held light to create individual alphabets while a camera captured their movement using long exposure.